The New Year is a great time to make a fresh start. All the mistakes or misjudgements of the previous year are over, and the slate wiped clean. New Year’s Eve is traditionally the perfect time to let go of the past, and look to the future with fresh eyes. All too often however, resolutions seem to get forgotten by mid-January. 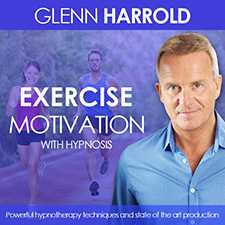 A combination of the horrible weather, getting back into working routines, or clearing the house of Christmas leftovers, can leave you feeling flat and uninspired, making it too easy to go back to old habits. I am convinced, however; if you follow these hypnosis tips you’ll make 2015 the year of kept resolutions! Before making your resolutions, take a moment to reflect on the things that you already have. List everything that you are grateful for; loving family and friends, a healthy mind and body, the food on your table, the roof over your head. These are things that we all take for granted from time to time, but if you can’t appreciate the things that you have, satisfaction will be almost impossible to achieve. Focus on what would make you happier; on the areas of your life that you want to improve. Whether you seek to improve your health, wealth, relationships, career, or reduce stress or fear, placing happiness at the centre of your resolutions, means that you are more likely to continue with them, as they won’t feel like a chore. Ensure that your goals for personal happiness come from a place of love and kindness and will benefit others, as well as you. List your five top goals, and the timeframe to achieve them. For example, ‘I will be in a wonderful, loving relationship with my ideal partner by December 2015’; ‘I will find the perfect job within six months’; ‘I will reach my ideal, healthy weight by August’. Next, rewrite them in the present tense to turn them into affirmations. 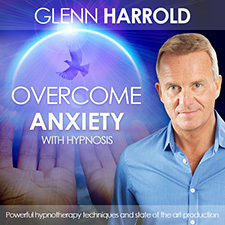 By repeating these hypnosis affirmations, you are programming your mind to believe that they are a reality. Be specific and clear with your goals, to ensure that your affirmations are successful. Look at where you are now, and write down five steps that are necessary for you to reach your goals, starting at the bottom. For example, if your resolution is to further your career, your first step might be to ask for more responsibility, then to find out about training courses, make more business connections, change your career path, or start your own business. Draw the ladder, and hang it somewhere that you will see it every day, perhaps near the kettle, or on the bathroom mirror. Familiarise yourself with every step and really visualise your success. Mark the ladder in some way as you achieve each rung, and give yourself a pat on the back. There’s nothing wrong with setting yourself a high target when it comes to New Year resolutions. The higher you aim, the more likely it is that you will see success, which is the surest way to help you feel inspired to continue on your journey. Think big, and reap the rewards! These, and many more tips for reaching your goals can be found in my book The Answer. Good luck with your resolutions! P.S. 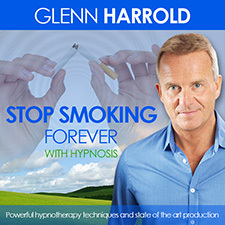 If you want to detox, lose weight or stop smoking, my hypnosis recordings below can help. 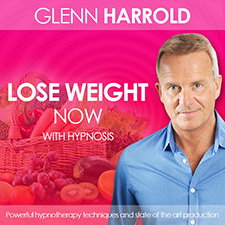 Lose Weight Now and Stop Smoking have recently been remixed and re-mastered.